Get the audience what your solutions deserve with the cross media platform of Recruitment Tech. With English and Dutch websites, events in the Netherlands, an annual Dutch bookazine and web TV you reach sustainable decision-makers and influencers. On this site you will find more information about the media of Recruitment Tech and you can download the Mediakit 2019. 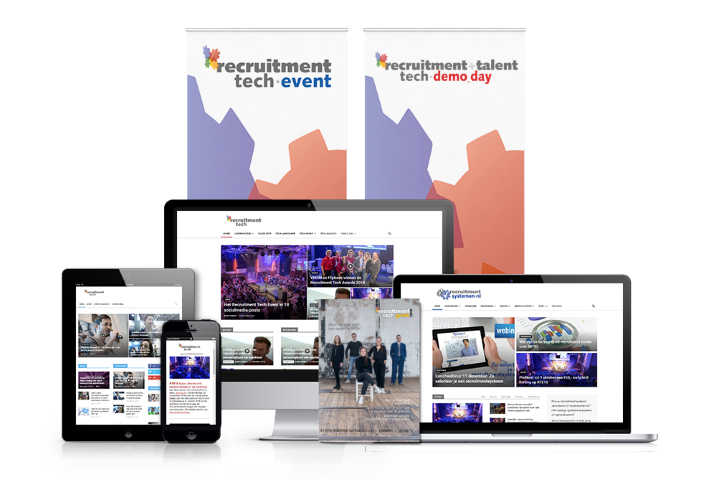 Recruitment Tech Media is the organization behind leading initiatives such as the Recruitment Tech Event, Recruitment Tech Demo_Day, Recruitment Tech Awards, Recruitmenttech.com, Recruitmenttech.nl and Recruitmentsystemen.nl.